Do you believe that diversity and inclusion are essential to personal and organizational excellence in the library and archives professions? Are you doing groundbreaking research on diversity and inclusion-related topics and want to share it with your colleagues on an international platform? Mark your calendar for IDEAL ‘19 to be held August 6-7, 2019, on the Ohio State University campus in Columbus, Ohio. A call for presentations, posters, and scholarships will follow in February 2019. Do you believe that diversity and inclusion are essential to personal and organizational excellence in the library and archives professions? Are you doing groundbreaking research on diversity and inclusion-related topics and want to share it with your colleagues on an international platform? 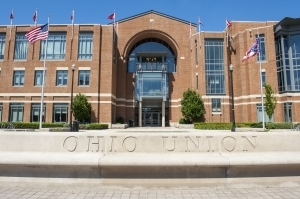 Mark your calendar for IDEAL ‘19 to be held August 6-7, 2019, on the Ohio State University campus in Columbus, Ohio. A call for presentations, posters, and scholarships will follow in February 2019. IDEAL, formerly the National Diversity in Libraries Conference, aims to foster awareness and appreciation of workplace diversity issues through the exploration of exemplary practice, contemporary theory, thought leadership, and strategy development for all those in the academic and public library, archives, and museum sectors. IDEAL ‘19 will provide an opportunity for professionals at every level and across sectors to discuss how increasing workplace diversity and creating an inclusive workplace environment improves organizational effectiveness, creativity, adaptability, and relevance to the communities served by the organization.